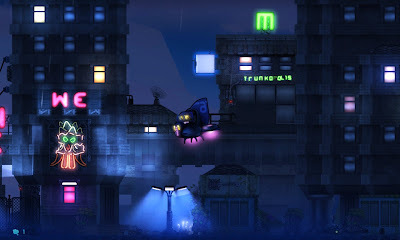 Few days back we wrote about a new action game coming for Linux, Cobalt by Oxeye Games Studio. We also previewed a video showing the game devs playing multiplayer mode at Mojang (Minecraft fame). Much has happened since then. Mojang is now official publisher of the game which they announced few days back. Cobalt is an action game of running, jumping, rolling, shooting, throwing, dancing, hacking, rolling, flying, sliding, climbing, looting, deflecting, racing, pinata-ing, passing, scoring... and even more rolling! You will be able to play cooperatively with friends or defeat your enemies in a death match, loot match, race match, or Capture the Plug matches. Cobalt is expected to be released for Windows, Mac and Linux this fall.